If you have been watching my FREE iPad Brush Lettering course it’s time to take things up a notch. Brush Lettering on the iPad Pro doesn’t have to be difficult. 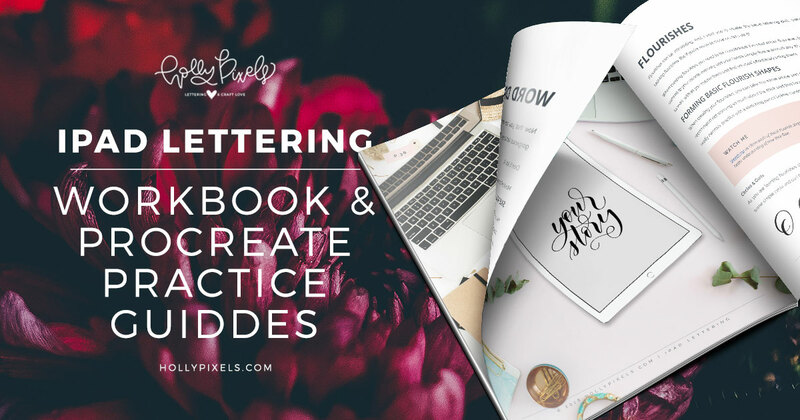 I’ve created this gorgeous PDF workbook with all the information you need and a lot of helpful practice guides. You can import the practice guides into Procreate and start lettering over my lettering style and improve your skill much quicker. You don’t need the workbook or guides for the course, but they sure do help! Does it mean that I have to buy the guides to follow your course for free? No. The guides are not required, but if you want more from me and my projects to work on.